We were able to observe tutors with their students and compile a lot of constructive feedback that we gave to tutors during mid-semester conferences. 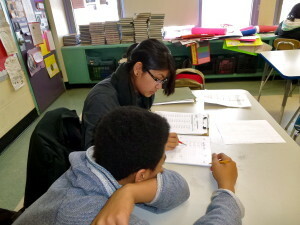 This held tutors to a high standard of professionalism and high rigor in their lesson planning. That made the Tobin a very academic setting. It’s easy when you’re tutoring to do what your student wants to do like playing games. Tutors were expected to share their lesson planning ideas with their teams which ultimately made tutoring more academically rigorous. In our coaching, we emphasized how important relationship building is with our tutors and students. It is essential for tutors to be advocates and allies for their students and care about what they are doing. When tutors notice things like student attendance and bring it up to us, it is extremely helpful to the student’s growth. We also relied on sharing student data with tutors. Melissa (the Tobin Program Coordinator) did an amazing job of tracking how students were progressing and how their test scores aligned with what they were working on. We tracked a lot of data throughout the semester to find the gaps where students were struggling and were then able to coach the tutors in where they should be focusing in tutorial. The overwhelming response from students on their end of the semester surveys was that they liked their tutors as people. The students that gave the best feedback were the ones that had extremely consistent tutors. The coaching combined with tutor commitment made for an excellent semester. 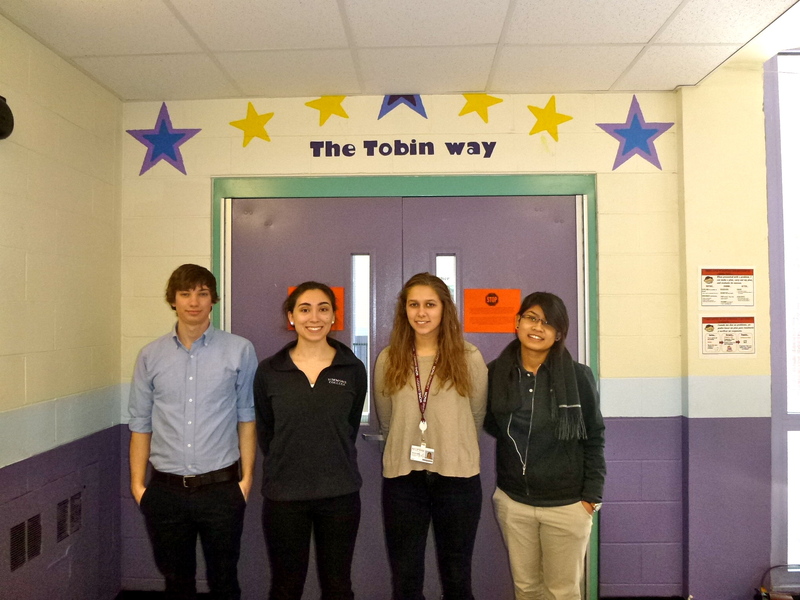 Mid-semester tutor conferences are coming up at the Maurice Tobin School and we look forward to seeing how they will influence the growth of students! This entry was posted in Results, Tutors for All Blog: One Student at a Time on February 26, 2015 by Mark Destler. This month’s Tutor and Student Spotlight features Soriya (Ms. Peng), a Lead Tutor from Wentworth Institute of Technology and Jacquez, a 7th Grader from the Maurice Tobin School. Over the course of last semester, Jacquez’s score on his Show What You Know Exams grew from 59% to 89% (30%). Jacquez was one of the top five Tobin students who grew the most from tutorial last semester. What have you learned from Ms. Peng during tutoring? What have you learned from Jacquez in tutorial? What do you like the most about tutorial? Has Ms. Peng ever done anything creative or really funny?? What was it? Has Jacquez ever done anything creative or really funny? What was it? This entry was posted in Results, Student and Tutor Spotlight, Tutors for All Blog: One Student at a Time on February 26, 2015 by Mark Destler.